I bought my first site back in 2010 and I had no idea how search engines work. I had a lot of articles already written from my days at magazines and newspapers, so I expected content would be no problem. But everything else was. So I decided summarize my mistakes for all newcomers to make their life little easier. Read on! I named my site the same my company is named, what is logical and it is even suggested because the name is brandable. Unfortunately it doesn’t make any sense to search engines. So if I would start all over again, I would take name with right keywords (something people actually look for). The name itself is irrelevant now, but as a curiosity I can add my main idea was to build a portal with tips from fashion, culinary and similar lifestyle related articles. To make it more attractive, I added a widget, which randomly displayed inspirational quotes. One of them was a proverb where raising a kid is compared with breaking stones. None of my articles ranked for any of chosen topics, but for some reason my site earned a number one spot for stone cutting! Site looked great, but search engines didn’t like it. It had large photos and slide shows what caused slowness. It had some nice additions (jokes, weather widget and similar stuff) and all that made site even slower. Search engines were pretty confused by all the fancy stuff and they couldn’t figure what is site really about for more than half a year. It took me several months to find acceptable compromise - I arranged articles in few logical topics and search engines slowly started to realize what I wanted to display and what kind of visitors would be interested in my content. I published articles only based on my opinion what is interesting and never checked if anybody ever looks for the information I provided. So after first half year I had about 50 articles and between 10 and 20 visitors a day who came to the site purely by coincidence. Statistics showed most of them stayed on the site less than a minute. Then I started to use Keyword Planner and found the cold truth - some of my articles competed with too authoritative articles on other sites, some were about non popular topics and some were just not written clear enough to be understood by search engines. My main lesson from first steps in the world of keyword research was simple. If I want to write about potato, word potato should be used in the title of the article and also few times in the article itself. Web content is not the right place for wordplay and web spiders have no sense of humor. It seems on web nobody really reads. Folk only skim the text in search for particular information. They like to check some nice photos too, but names of my photos were not related to proper keywords. Most of them had only numbers and name related to photo service, where they come from, what made to another confusion. Search engine bots started to relate my site to photo services. - Spammers prefer short articles, because their main goal is making fast and easy cash. Satisfaction of their visitors is not on the list of their intentions. - Longer articles became more popular among search engine bots. They offer more so called long tail keywords from which more than 70 percent of web searches consist. - They also have better semantic structure and are easier to relate to the topic, what gives them better chance to be offered to right kind of audience. - Longer articles in general incorporate more multimedia material, which constantly gain popularity among web users. But proper names of photos and other elements in each article are still a must! I sure did submission of the URL of my site to some web directories, but only later I found out most of them are useless, so have I spent hours and hours just to write some info which nobody will ever read. Then I opened couple of blogs, posted some so called supporting articles just to find out I have to support blogs too! I tried to read as much information about getting traffic as I could, but among all the noise in the internet only one thing was for sure: I need backlinks pointing to my site. But these links were useless if there were no other backlinks pointing to the articles with links. Building links required a lot of time and energy and results were not nearly as good as I hoped. After a while I became more efficient and my site got some traffic. It was a slow start, yet much better than nothing. These blogs were my best resources of knowledge. They are both written in Slovenian language. Or may I say: no internal linking? I was too lazy to check if somebody looks for information I offer, so how could I expect search engines would ever found out connections between my articles? I organized them by general themes and that was that! With some proper text linking I could do wonders! Well, not wonders, but traffic slowly started to build up. From several (random) visitors per day I started to get about one hundred visitors per day and according to statistics most of them got what they were looking for. Visitors who looked for stone cutters were replaced by visitors who wee looking for articles about fashion, culinary and education - exactly themes I offered. Internal linking greatly improved positions of my pages in the web rankings and best of all I have all the controls over this kind of links. I have also tried to use some plug-ins for linking related articles, but manual settings proved to much better. After about one year of trial and error I slowly learned what worked for me and what not. I learned about Penguin and Panda and other updates and what is probably most important of all, I learned to pick right fights. This means I stopped writing articles according to my current mood and implied proper keyword research. My knowledge about keywords is still far from perfection but it gets better day after day. And here I am - with more than a dozen working sites, thousands of visitors and priceless experience in the field of search engine optimization. 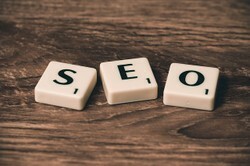 What are your SEO sins? This article is very helpful to us, the beginners. Thanks for this. Good job. Keep it up. You are right, happynutritionist. We should never forget the basics and never stop learning. After all adjustment and fine tuning is inevitable in other areas of life too. Just think about any sport - important rules are always changing, but the general ideas remains the same. The rules seem to change constantly in what in a site makes a search engine happy...it looks like you have some good tips for all here. As you posted in a comment below, the basics remain the same. I will have to bookmark this. I too had fallen into the deadly sins that you mentioned. Still working on it. Thank you, ologsinquito. KW research is too often neglected and in my opinion the main reason 95 percent of IM marketers fail on the web. I also ignored keyword research, much to my detriment. Now it's the first thing I do when I write an article, make an internal link or even share on social media. Everything has to be related to what people are searching for, or no one will read it. Very good article on this topic.